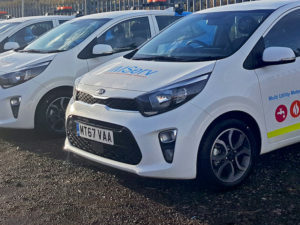 Energy data collection company IMServ is deploying a fleet of 51 Kia Picantos for its meter reading team, replacing the previous small vans used by the site visit agents. IMServ is to roll out the 51 Picantos across its meter reading division. The firm took the decision to make the switch to smaller, petrol-engined cars based on cost saving, environmental concerns, safety and comfort. Analysis by IMServ’s leasing provider Hitachi found the Picanto would serve perfectly for the role. Liveried by Stafford-based company Bri-stor, the 51 Picantos were selected in ‘3’ trim level, which comes with the 1.25-litre petrol engine, and have mainly been specified with manual gearboxes, which bring emissions from 106g/km.